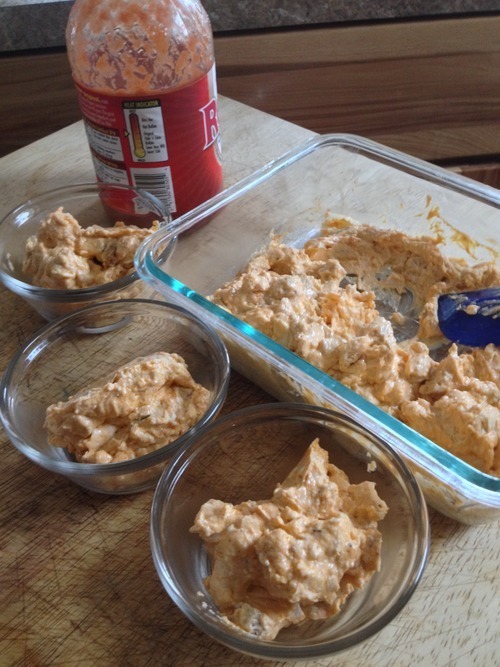 You know the only thing better than buffalo chicken wings smothered in bleu cheese dip? 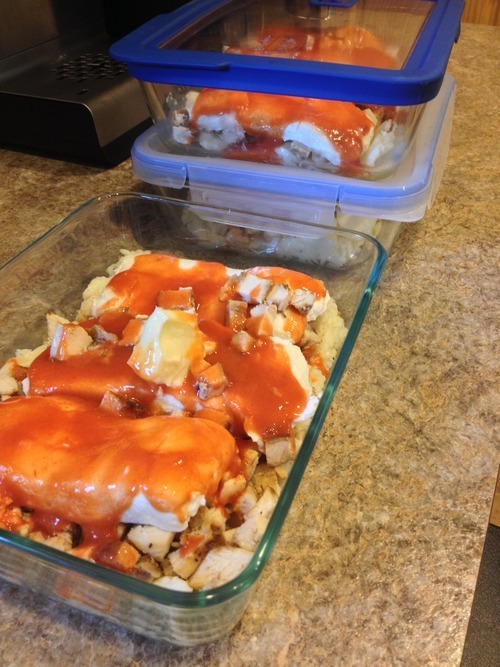 Buffalo chicken dip smothered in its own cheesy goodness! This recipe was originally written for the crock pot, which does a great job – until it starts to burn and overcook the dip. Even on warm, the crock pot usually simmers this delicate cheese dip too high, creating a crust of burnt dip and altering the flavor. It goes without saying overcooking and burning isn’t a problem in Hot Logic. Quite the contrary – it’s the perfect temperature for blending and simmering these ingredients together, and keeping it at ideal serving temperature indefinitely. Since Hot Logic cooks cheese dishes so well, it looks like I’ll have to take a stab at homemade mac and cheese next week. I have a strong suspicion it’ll be a delicious cakewalk. As for the recipe, it’s as simple as tossing each of these ingredients into a container and setting it on the shelf. Once everything is all gooey, just mix it thoroughly and serve whenever you want. Try it! It’s great with tortillas, or any other kind of chips.